This mirror was brought to my attention by hubby who is a big fan of Simple Human products. I told him before the makeup mirror with yellow lighting I use washes my yellow skin tone out that I can't really see my makeup until I go to the bathroom where we have a daylight white bulbs. I would see how my eyeshadows are not all blended well or I applied way too much blush! My small makeup corner in our room is not really well lit. Even though I do my makeup by the window, the best lighting was still in our bathroom so I told him I need a light like that in my corner. When he saw the ad for this mirror he knew this was the mirror we have been looking for and from a well trusted brand he knew I'm sold! Our sensor mirror lights up automatically as your face approaches. Its tru-lux light system simulates natural sunlight, allowing you to see full color variation, so you'll know when your makeup is color-correct and flawless. And unlike traditional bulbs or fluorescent lighting, our long-lasting LEDs won't burn out or diminish even after many years of regular use. We designed it to be cordless, so there are no messy cords cluttering up your counterspace. It easily recharges with the included USB cord and adapter. The distortion-free mirror is 5x magnification — ideal for providing exceptional detail while still allowing you to see your entire face at once. To give you a summary of what this mirror have, it's best that I just give you a screenshot from their website. This image just explains why this mirror is different from the other vanity mirrors out there. This retails for $200 and can be found in a lot of different retail stores and online. I bought mine at Bed, Bath and Beyond and used a 20% off coupon! This comes with a microfiber cloth for cleaning the mirror. It has a pretty solid base and has a felt on the bottom for grip. Because this uses LEDs this does not actually get hot on your face! That was the other thing I did not like about the other vanity mirrors. I have been using this for a few months now and have only been charging this once every two weeks since I use it day and night. And even if you are low on charge the light is still as bright as when it's fully charged! This has been the lighting I have been using to show you my eyeshadows and FOTD's and this definitely shows the true colors of the eye shadows I used, the lip swatches and my makeup! so here's a TIP: I just put on a butterfly clip on the sensor to keep it on. to diffuse the light for some of my pictures, I would just put a white cotton shirt over the mirror. The 5x magnification mirror is pretty clear, no distortions of your face at all! Eyebrow tweezing has never been so easy! I do have another regular mirror on my desk to see my whole face with no magnification, since this is not a double sided one like other vanity mirrors. This sees every mistake, wobbly lines and not-so-sharp points, when I wing out my liners, so I do that last because I could sit there for 5-10mins fixing my liner! I love that this is cordless and I can put it in any corner or area on my little makeup table to get the right angle when I do makeup! When I get really close to the mirror to do my eyes, the makeup brushes hit it so I have to adjust it a bit. Overall, I do highly recommend this to all beauty lovers! This is definitely an investment piece since this is more on the high end price tag. The way I see it, I will not have to look for another vanity mirror since this will last me a while (as it claims years and years and years!) so instead of spending that $200 on 3-5 different vanity mirrors, you have saved yourself from that misery by buying this! 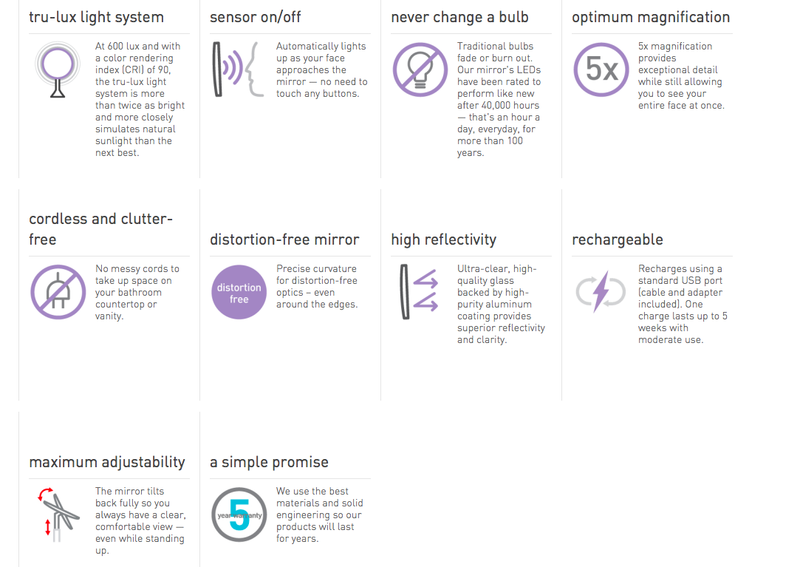 I am not paid by SimpleHuman or am I a Sales Associate to say all of these to my readers. I am really just impressed by this product and I just wanted to share with you how I justified my purchase of this. 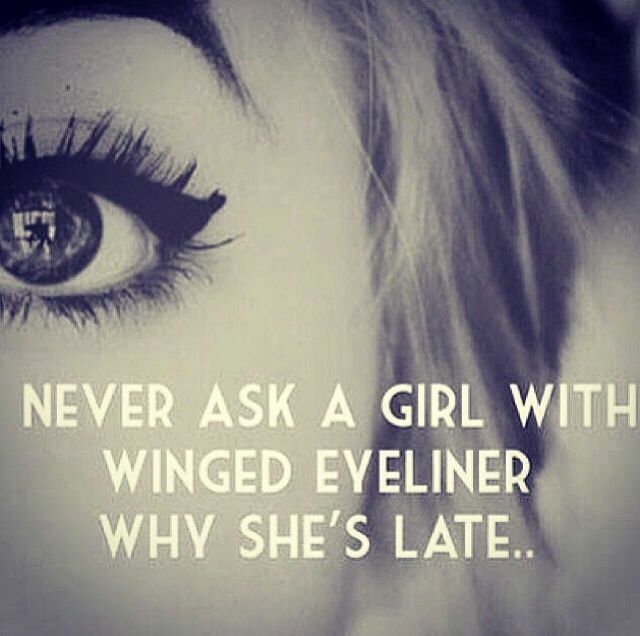 Plus, wouldn't you want to see the great quality of all those makeup and perfect that liner when you do a cat eye? So if you see this in the store, check it out and see if it is something you do need! Don't get turned off by the price tag, give it a chance and you will see why it is priced that way. Do you have a beauty investment piece in your collection?